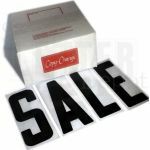 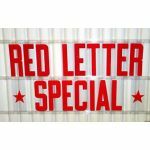 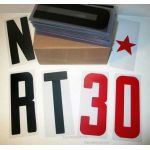 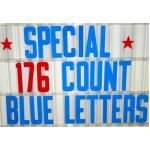 This is our most popular size letter and is the most common size letters for portable signs and Sam's custom header signs. 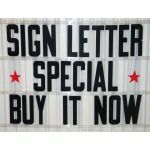 The Flex-Change Letter is 8" printed on a 8 7/8 inch flat plastic panel. 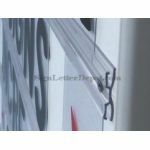 This letter is often referred to as a 9" letter because of the height of the plastic panel. 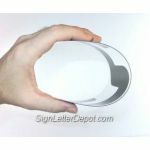 Some manufacturers print these on a 9" panel. 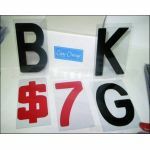 Flex-Change Letters will fit and can be used to replace the sign letters on signs using 8" on 9 inch flexible letters.